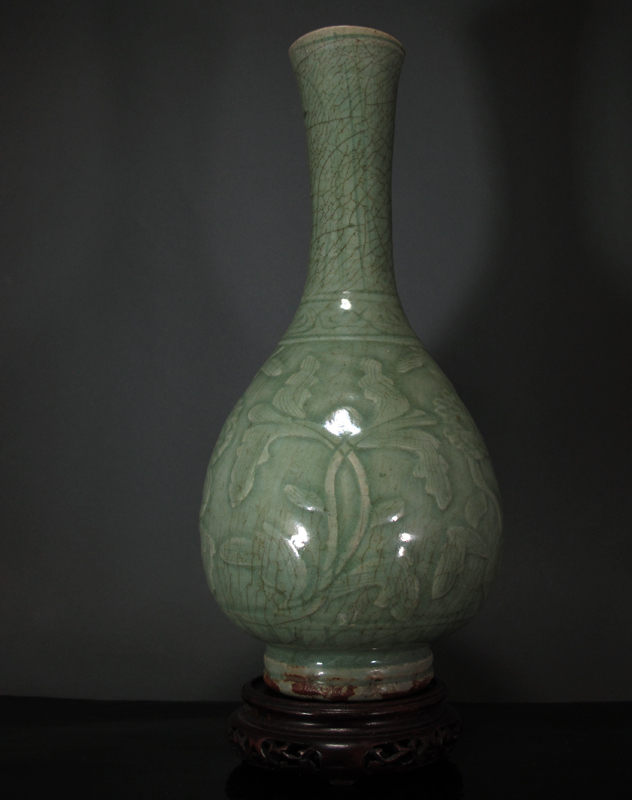 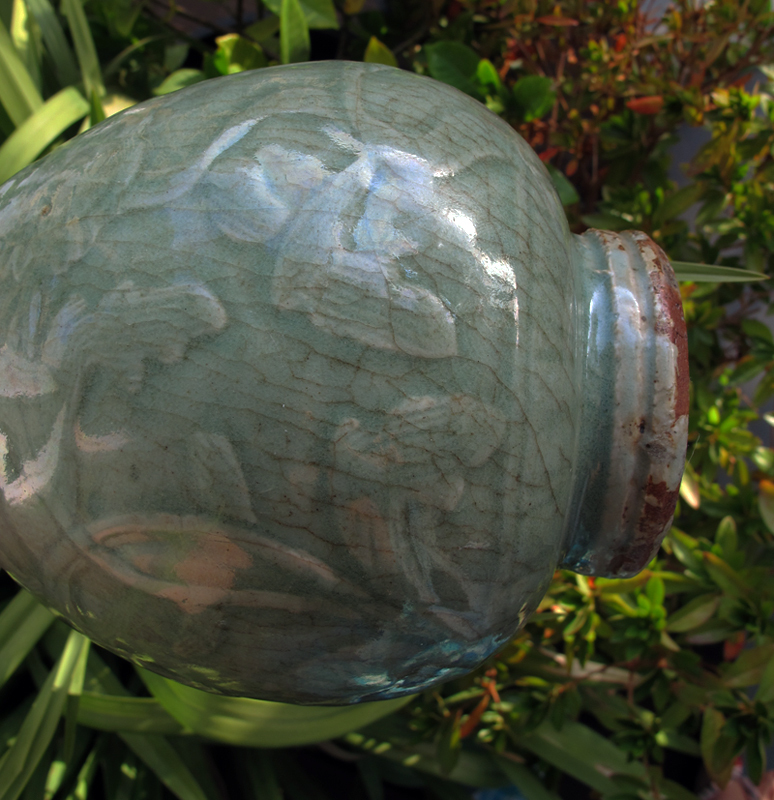 A beautiful and highly elegant Longquan vase, of a typical mid-Ming pear shape, covered with a thick and luxurious celadon glaze, and decorated with hand-carved floral motifs. 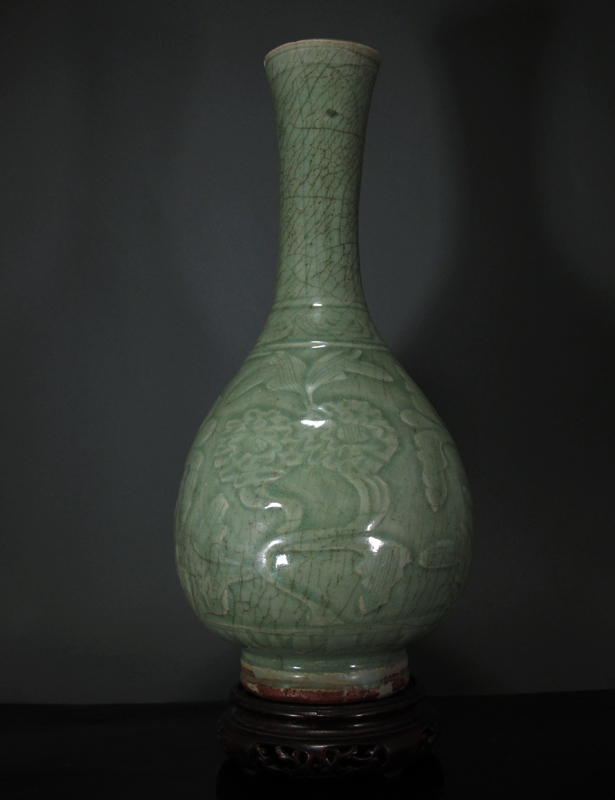 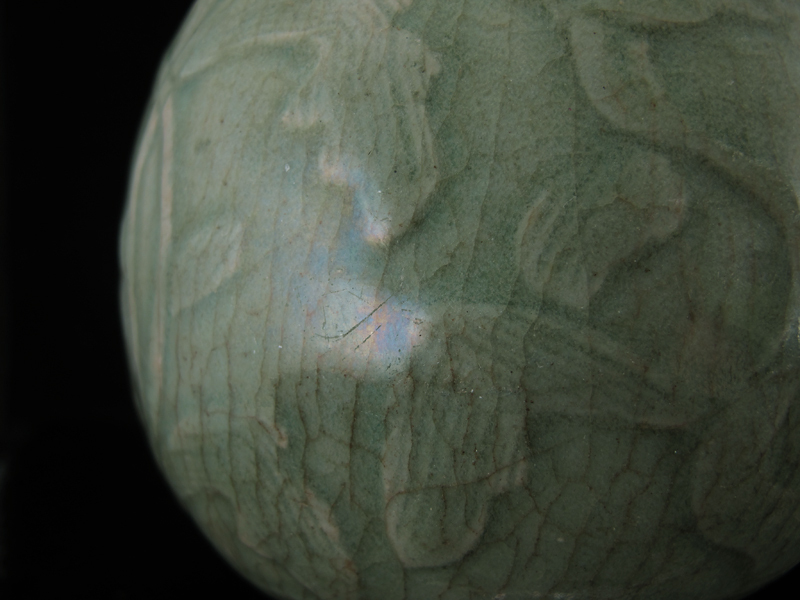 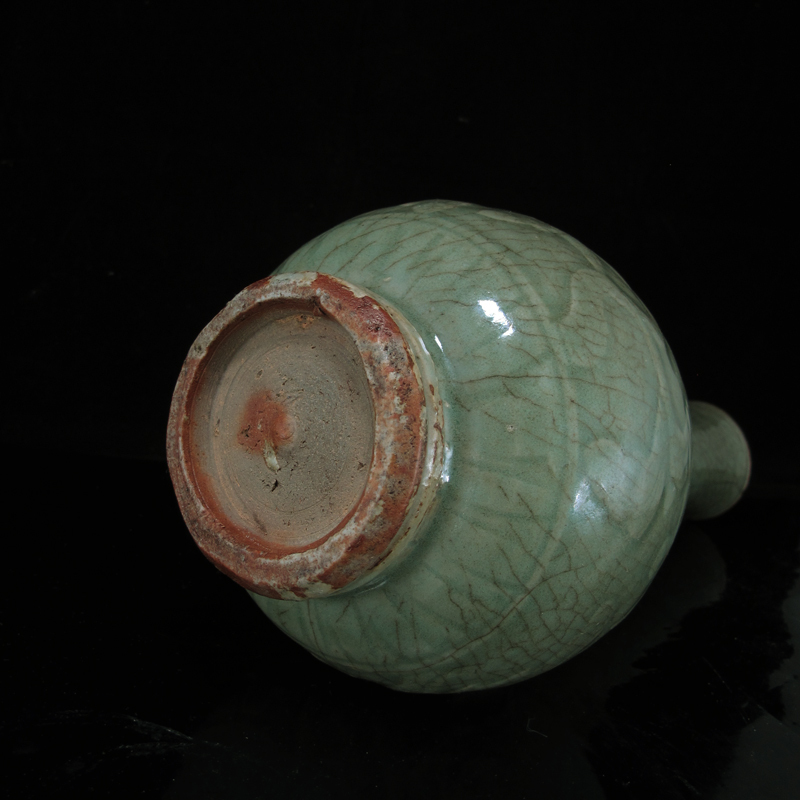 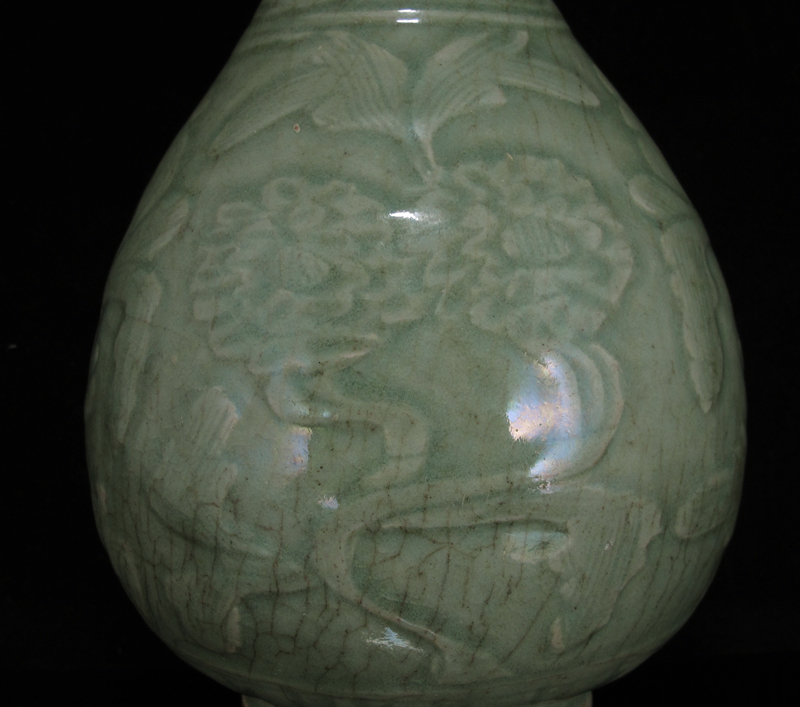 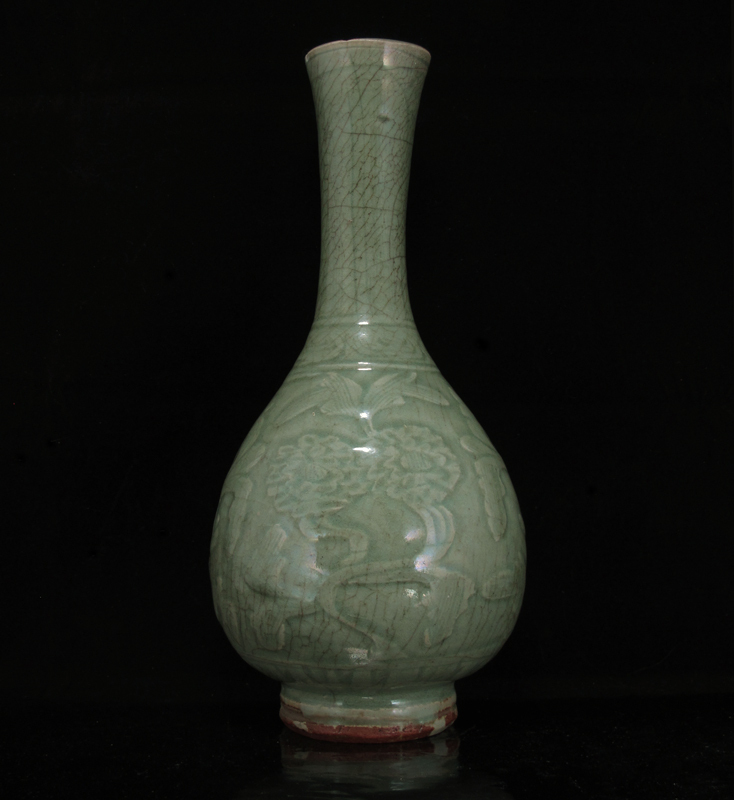 In many ways, this vase is a “revival” piece: its body is deeply carved in a 10-12th century manner that had gone out of style during the Yuan-early Ming period, and evokes older Song celadons from Yaozhou. 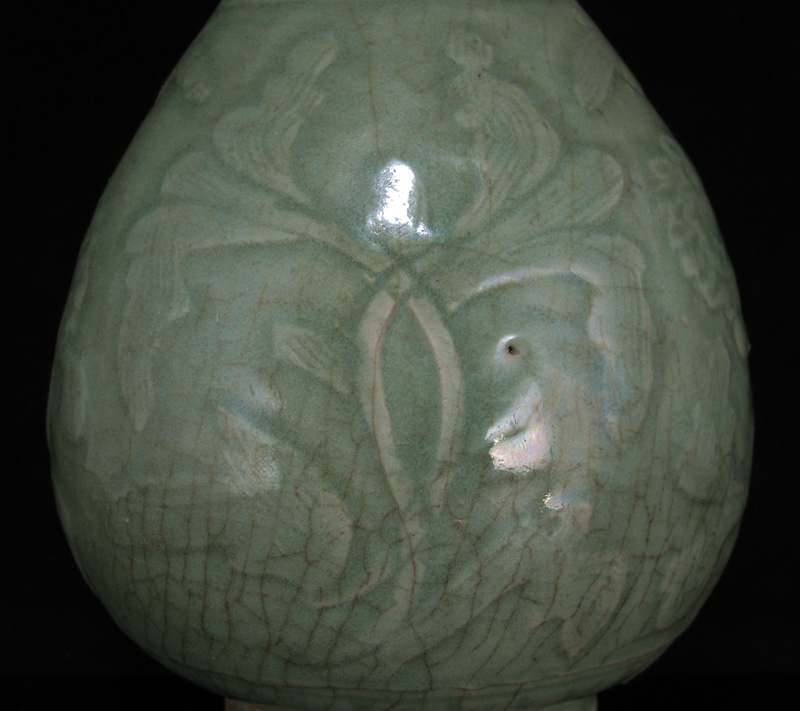 The mold-casting decoration method of the Yuan – early Ming period enabled greater production volume, while the hand-carving method seen on this vase would have required greater skill and time from the potter. 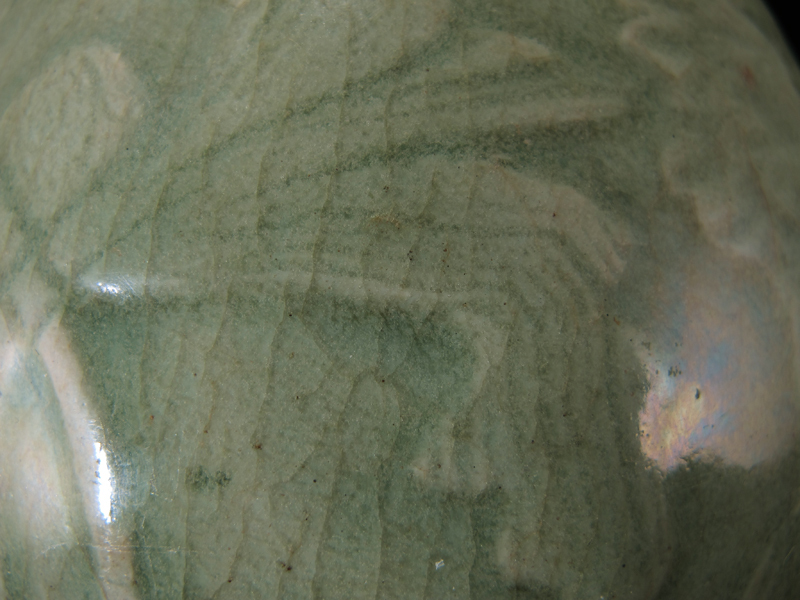 The latter however was much more artistically compelling: the knife-work forced potters to produce decorations that were swiftly confidant—and that which appear to “levitate” within the glaze. 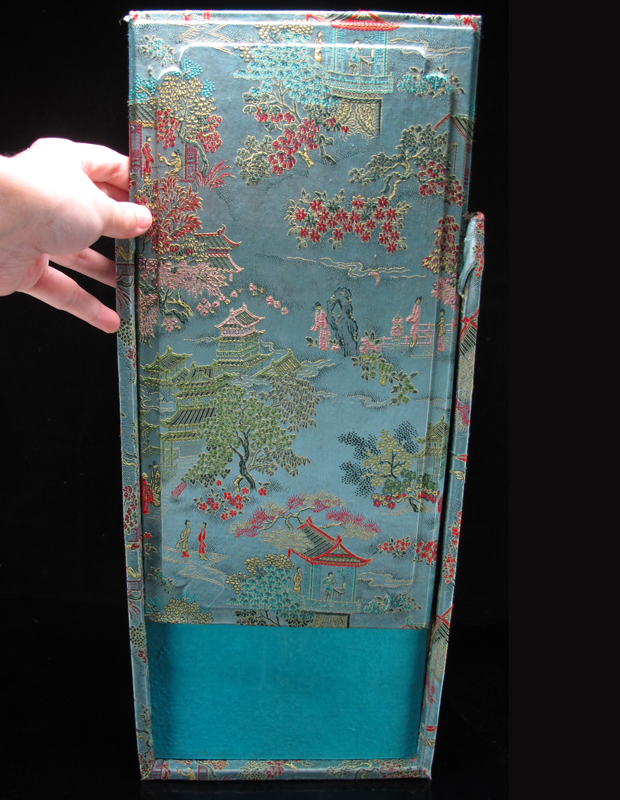 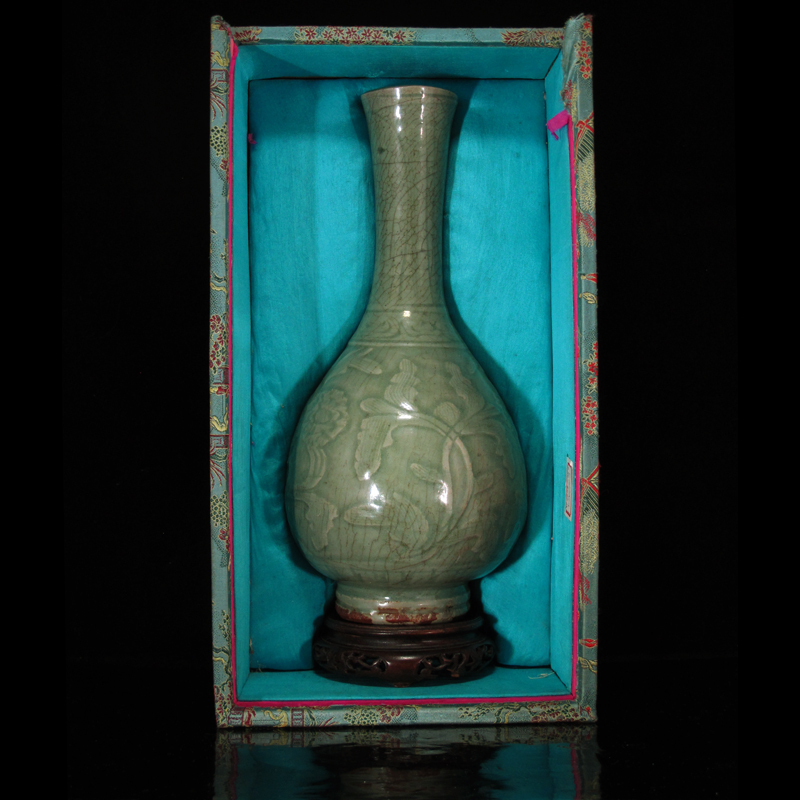 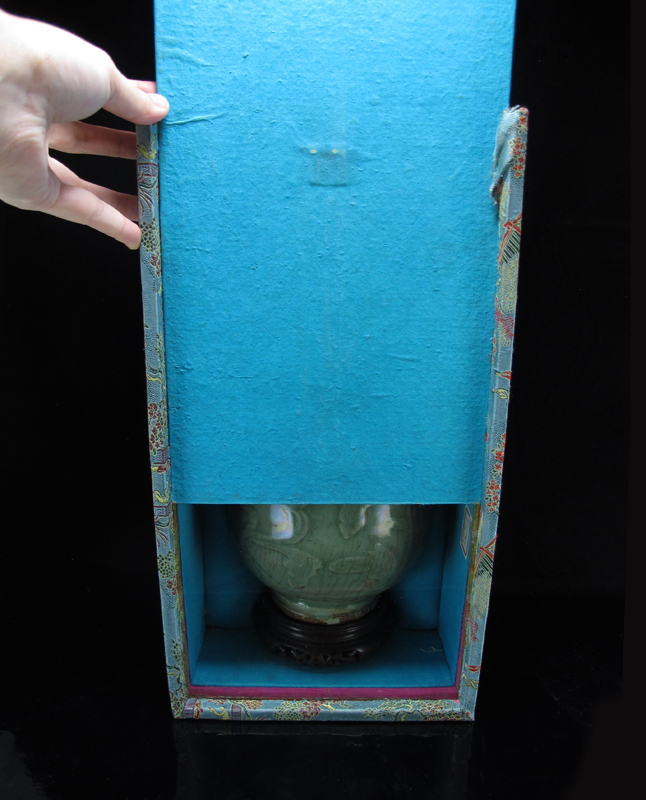 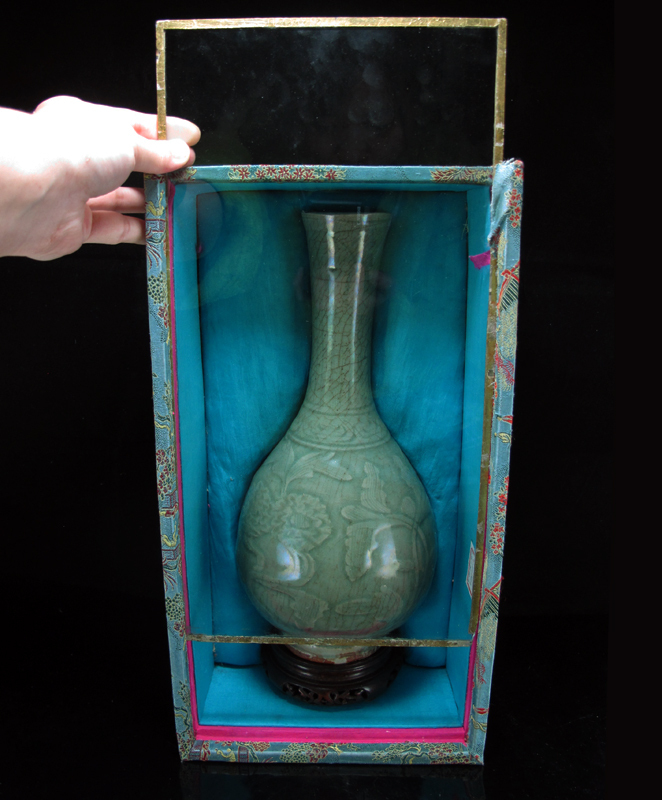 This vase comes in a 35 cm by 19 cm by 16.7 cm old collector’s display box, complete with a silk brocade surface, a glass insert, and a wood stand.